Website development is an interesting thing. Over the many years that I have been taking calls in our Toronto based office for website design, I have seen just about everything. People come to me with a design done in PAINT, others that have gotten through 25% of an existing nightmare only to get ignored – you name it! I decided that it would be helpful to write an article to help those that are just beginning the process of getting a website developed and also include some information to look when determining which website development company you want to work with. 1. 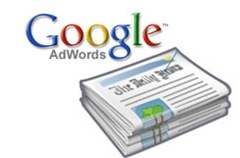 First thing you need to do is figure out which pages you will want as part of your sitemap. Here are the steps that I take in developing a sitemap. What will your top navigation and most broad navigation be? Limit this from 4-6 items if possible. Examples include: Home, About, Products/Services, Testimonials, Contact Us. Open up an excel document and in one row write those elements down. Next figure out what 2nd level pages you would want. For example: under ‘About Us’ you may want to have ‘Our Team’, and ‘Corporate Profile’. 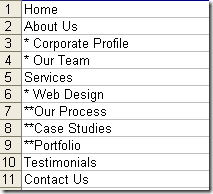 You may want to have individual pages for each of your services. 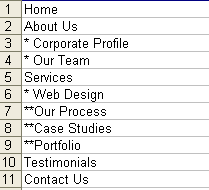 Now simply go to that excel sheet and under ‘About Us’ simply enter a ‘*’ in front of your new entries to indicate that it is a 2nd level page. If you were to have 3rd level pages you would simply enter 2 ‘*’ below the 2nd level page that you want to build out. Now that you have a rough idea of what your sitemap is, I recommend that you begin your search for a developer. Some people continue developing content, finding imagery etc. The reason I suggest finding your web development company at this point is a good website consultant will give you many ideas that you may not have thought about. Get those ideas in your head early on so that you don’t waste your time. This is the most pivotal thing you can do to ensure a high end project and that delivers on your requirements – on time! Here are some of the things that you should do as part of your own due diligence when selecting a web developer. Do not base your selection on price! I have seen hundreds of clients come to me over the years telling me that something that we quote $6k for someone else is offering to do for $2k. The most important thing to remember is that you are paying for a proven process, experience in your industry, and time. If someone is willing to commit to building a website (which usually takes 150-300 hours of time,) then what does that say about the quality of work you are going to get? 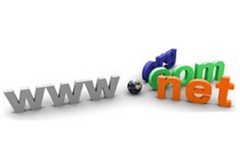 Ask to see web sites that the company has developed! Make sure that the sites are verifiable and that they match up with the expectations that you would have. Find a site that you like developed by the said company and ask if you can speak with the owner. That’s right – do not accept a list of testimonials. Those are hand picked! Instead ask to see the company’s work that you like and pick the person you want to speak with yourself. If they cannot provide that then what does this say? Ask the sales consultant what their process is for developing a site. Do they have one? Does it sound well defined? Without a process you are likely not going to get the framework of the site built properly and the end result will not be something you are happy with. Ensure the company understands what your requirements are and ask them to contribute their own ideas. This will give you an idea of the imagination your company has. When you get a final price make sure to ask for a estimate in terms of man hours and see what the hourly rate they are charging is. If it is too low, then chances are they haven’t scoped this well and you may expect ‘extra’ charges that you did not expect. Time to close! Finally, make sure that every single requirement that you have for your new web property is in the proposal. How big are they? The bigger the company the more likely there is a standard process to getting things done. That is not to say that the guy working at home can’t do a good job, but the chances are much greater that a single developer will have too much work to properly look after you and if they do not may not have the experience or process to give you a positive final result. Being assigned a separate Project Manager is a good thing! Your chances are better of launching on time if you have a person responsible for meeting deadlines. Has the person been quick to respond to your questions via phone/email? Chances are if you have to chase, then you will continue to through the process! Make sure they give you a project schedule with key milestone dates! If they do not, then they don’t have a goal in front of them. The goal of this article was to make those that are looking to build a website aware of what to look for when getting a website completed. Chances are that you haven’t had to do this much so it is important to have a guide of what to look for. I am a freelance web designer with specialty in SEO. There are instances that made me YIKES at the design demands of the client. They just want a montage of colors crammed with flowery content. In this post you’ve etched out what a professional set up should follow in following clients’ design requirements. From this blog I got the exact idea of building a sales funnel strategy in sites, and honestly that cleared the fog a bit on that topic. I started experimenting with it. For me, it boils right down to Business Owners still a little clueless about the power of the Internet. Sure, they balk at $6K, but turn-around and easily fork over double that for a Yellow Pages ad with ZERO idea how many calls or leads they are receiving. Sadly most business owners figure all web dev companies are the same, and so are all the sites they produce. Designing and developing a commercial website is no child’s play either. Your entire online business success could hinge on that. But as always, quality has a price. It is up to each to decide whether price considerations take precedence over quality considerations. 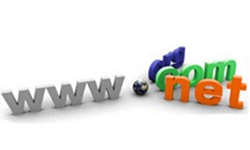 Your blog throws light on the various parameters one should use while searching for a suitable website company. Good one on that DJ. I had on an earlier occasion read in these columns a two -part blog on website development and the need to develop a perfect sales funnel for website success.I found those articles extremely useful. I feel this latest blog is of the same genre and serves as a perfect guide to anyone wanting to develop a commercial website.Yes, there is no subsutute for experience and always go with a proven player of good standing.